The Catholic Prolife Vicariate of Rockland holds a mass for life on the first Monday of each month at St. Francis of Assisi Church at 128 Parrott Rd. in West Nyack at 7:30 p.m. The next mass is July 7. Everyone is welcome to come to celebrate mass and pray for an end to abortion and all your prolife intentions. Music for the mass will be provided by Frank D’Amato from Spring Valley. 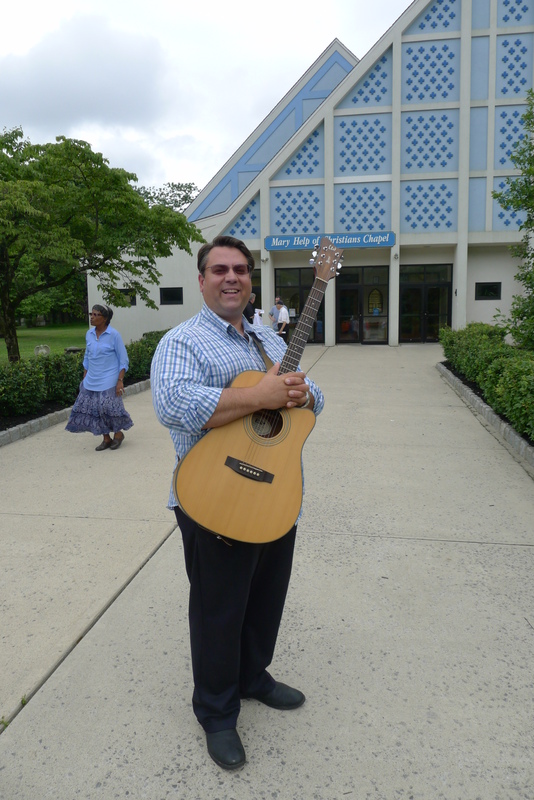 Frank helped lead the singing at the recent July 4 Mass for Life and for America at the Marian Shrine. He has volunteered to offer his musical talents (singing and guitar) to any group that is planning a prolife or prayer event. You can contact him at 845-507-2580. This entry was posted in Prayer for Life by rocklandrtl. Bookmark the permalink.